All Grain Dunkles Bock homebrew recipe. 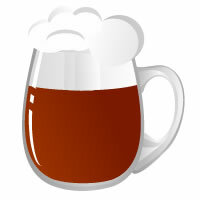 This homebrew recipe uses the following ingredients: Dingemans Munich MD™, Gold Swaen Munich light, Dingemans Aromatic/Amber MD™, Swaen Ale, Dingemans Cara 120 MD™, Platinum Swaen Smoke, Dingemans Mroost 900 MD™, Weyermann? Melanoidin, Hallertau Perle Hops, Northern Brewer Hops, Saaz Hops, Fermentis Safale S-04 Homebrew Yeast.